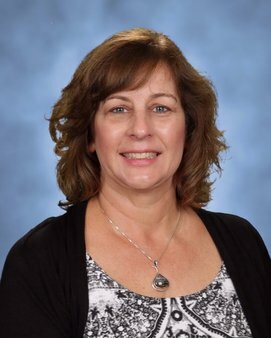 Mrs. Gambaro started as the Typing Teacher on electric typewriters and today she is teaching Programming using Scratch, Visual Basic, Java and webpage programming of HTML, CSS, and JS. This semester her Programming 1 students are using Scratch to create games such as Flappy Bird and mazes using blockly programming. Programming 2 students started the year with Visual Basic, created a ticket and concession program, and are now working on HTML to create a web page. Both courses use various online programs to learn the concepts. Mrs. Dunneback’s Merchandising Lab (School Store) class integrates multiple curriculum areas with a real-world context. The class is responsible for all operations of the store, including product development, promotion and distribution of goods, pricing and inventory control functions, and development and maintenance of the school store website: http://rhsfalconsbiz.weebly.com/. ​​The students get hands-on experience selling food to their peers each day during lunch; they also work with an online simulation that teaches students the business basics and exposes the secrets of retailing. By making tough business decisions, students learn the behind the scenes operations of their common shopping experiences – why stores are located where they are, how stores decide to price products, etc. Students are able to meet with clothing vendors and decide which logos, colors, and styles of clothing would be best for their particular target market and then must create marketing campaigns for each item.